The 11th Annual Local Photographers Exhibit will run from June 13th to July 14th, 2018. Artist Reception will be Saturday, June 16, from 2 to 4 pm. Refreshments will be served. Art delivery date is June 6, from 1 to 5 pm. Art pick up date is July 18, from 1 to 5 pm. Austin Duval is a diversified upcoming artist who works in several mediums and applications: Acrylics, digital paintings, and photography. A strong advocate for other artists in his community and surrounding communities, Austin sits on the Denison Arts Council and supports ''Color Me Empowered'' a foundation that supports art outreach to at risk youths in Dallas. Duval recently received a BA in Studio Arts from Southeastern Oklahoma. Austin will continue his passion for art this summer as he travels to Italy where he will begin work on his Master's and study art restoration. Donna Myers: As an avid quilter, I learned elements of color, design, and form working with fabrics before pursuing fine art. I have dedicated much of my time to learning all I could about art, attending numerous workshops and seminars as well as reading many books on all phases of art. I have also participated in festivals and art shows over the years. Selling paintings as well as receiving purchase awards in local shows. Trying to capture a piece of the world around me in art is my passion. I paint all subject matter in watercolor and pastel. In the fall of 2017 Betty Smith and I opened Friends Art Gallery in Celeste TX. The Gallery allows us to showcase our work and share our love of art with others. 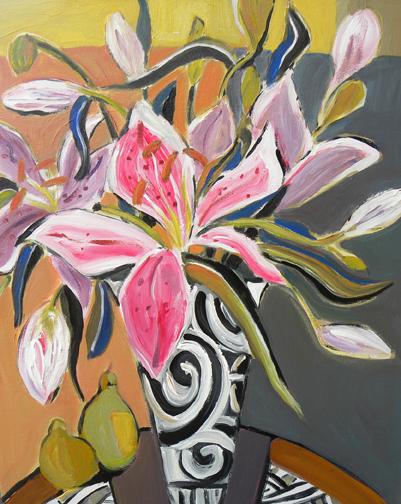 Betty J. Smith: I have been painting since childhood and it has become a necessity in my life. If I mow the yard, I paint the grass in my mind. If I give the dog a bath, I imagine amazing paintings. Living on a ranch provides material for consideration and yes, of course, I actually put many of my thoughts on canvas or paper. Workshops, teachers, and fellow artists have influenced my work and yet there is always some part of myself in every piece. My only goal is to continue to improve! In the fall of 2017, Donna Myers and I opened Friends Fine Art Gallery in Celeste, Texas. We paint there and exchange ideas Thursday through Saturday each week. Most importantly we encourage and support each other as artists. The Photographers Exhibit runs through June 10. 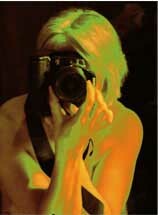 Allen Crenshaw's Exhibit will show his photographic art from March 2 to April 9. Barb Stewart's Exhibit includes 12 watercolor and ink paintings. Newest work by Jerry Tate. Janice Howell has studied and painted abroad in France, Italy, Spain, Mexico, and Germany. Howell has shown in galleries in Santa Fe, Dallas, Colorado, and Denison with 10 one person shows in Santa Fe, New Mexico, Dallas and Plano. Howell has been published in national magazines and has won several national awards and public art contests.